The Long Version: There's something really incredible about the Sigma DP3 Merrill. 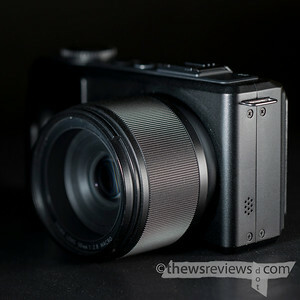 It's small, it's light, and it produces great photos. Normally we need to trade off quality in exchange for smaller size or more convenience, and accept smaller formats with lower resolving power and coarser tonalities. The Merrill upends all of our expectations. The DP3 Merrill looks strikingly different from traditional compact cameras. From the front it's a slab-sided box dominated by a large off-centre lens, and most strikingly it doesn't have a viewfinder. This hints at the camera's true nature, because where the film door should be instead we find a large electronic viewing screen. Yes, this is a digital camera – but don't be intimidated, because the Merrill still fits in with film cameras and the new hybrid 'digital darkroom' perfectly. 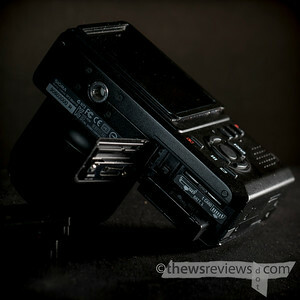 Instead of taking film – whether in sheets, rolls, or cassettes – the Sigma DP3 Merrill takes batteries. While film rarely holds more than a few dozen photos, and typically only a third of that, the Merrill can manage as many as fifty exposures per battery. And changing batteries is far simpler than film – no more catching sprockets or switching rollers! It's even faster than swapping cassettes in Advanced Photo System cameras, because there's no time needed to rewind or advance the film. And best of all, each battery can be replenished and reused over and over again. The Sigma DP3 Merrill fits perfectly into the new 'digital darkroom' that is increasingly popular with amateur and medium-format photographers alike. 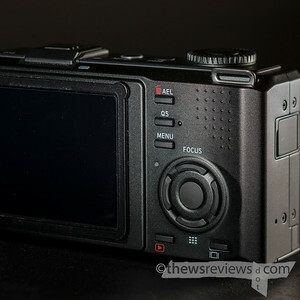 Typically we feed our developed film into scanners to digitize our captured photographs for electronic editing, but the Sigma DP Merrill has this ability built-in. This saves hours of work and the ongoing expense of chemicals or a professional lab. It's an amazing ability and one that will likely be incorporated into all cameras in the future. Sigma provides the dedicated software that is needed to see the images as they are loaded into the computer. This is called "Sigma Photo Processor" and works very similarly to other scanning programs. Images are visible in an on-screen array that looks like a contact sheet, and then each selected image can be individually developed for best quality. You can even choose whether you want colour or black and white photographs after they're taken – or you can do both. Remarkable. From a quality standpoint the Sigma DP3 Merrill easily matches a good 645 negative, and can rival larger film formats as well. The only major drawback is that the DP3 Merrill has the 3:2 aspect ratio of the 35mm format, not the paper-friendly 4:3 or 5:4 of larger professional cameras, so take that into consideration when planning your crops for printing. The lens of the DP3 Merrill is a bright short telephoto with exceptional quality despite its small size. There's pleasant falloff and slight edge softness at f/2.8, giving the photographs a rich, painterly feel. Stopped down to f/4 the lens becomes much more incisive instrument with uniform sharpness and excellent descriptive power. Aperture can be set in thirds-stops, giving plenty of flexibility, and its leaf shutter is capable of astounding top shutter speeds of 1/1250-2000 depending on the aperture selected. The Merrill is also exceedingly good throughout the standard sensitivity range, with minimal grain as high as ASA400. If you're printing black and white the camera can be pushed up to ASA1600 with reasonable tones and substantial, but not objectionable, grain. A tripod is always recommended, as benefits any high-quality camera, but if you're seduced into hand-holding the DP3 its lack of a reflex mirror and quiet leaf shutter will keep shutter shock to a minimum. The Sigma Merrill DP3 is a rare and cutting-edge camera. Despite its occasionally awkward implementation of electronic capture technology the entire thing comes together very well. Don't abandon the habits that you have tuned through years of large and medium-format photography, and don't be tricked by its small size into thinking that it will work like some fixed-focus pocket camera. Remember to treat it exactly like your better film cameras, and you'll be rewarded with excellent images and surprising ease-of-use.